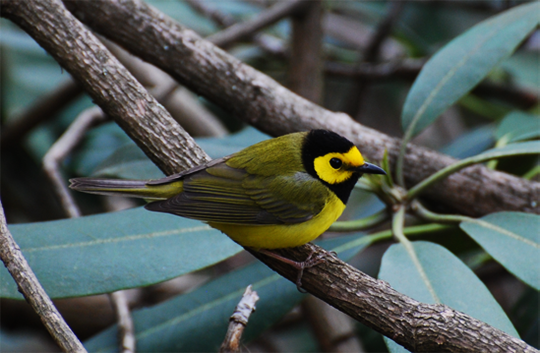 Whether you are a first time bird watcher or a seasoned ‘birder’, come explore some of East Tennessee’s richest natural treasures. We can create a package that suits your dates and group preferences. 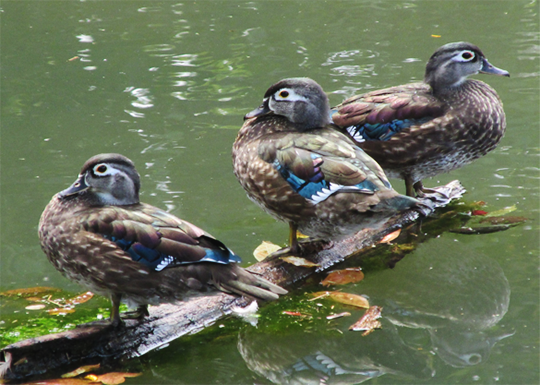 Welcome reception on Friday night, 6 – 8 p.m.
A copy of TENNESSEE BIRDS, a Pocket Naturalist Guide. A guided bird watching expedition on a Saturday morning to the Erwin Linear Trail will hopefully see such resident birds as Great Blue Herons, Wood Ducks, Red-bellied Woodpeckers and Northern Cardinals, as well as possibly some migrating species such as various warblers, vireos, flycatchers and sparrows. 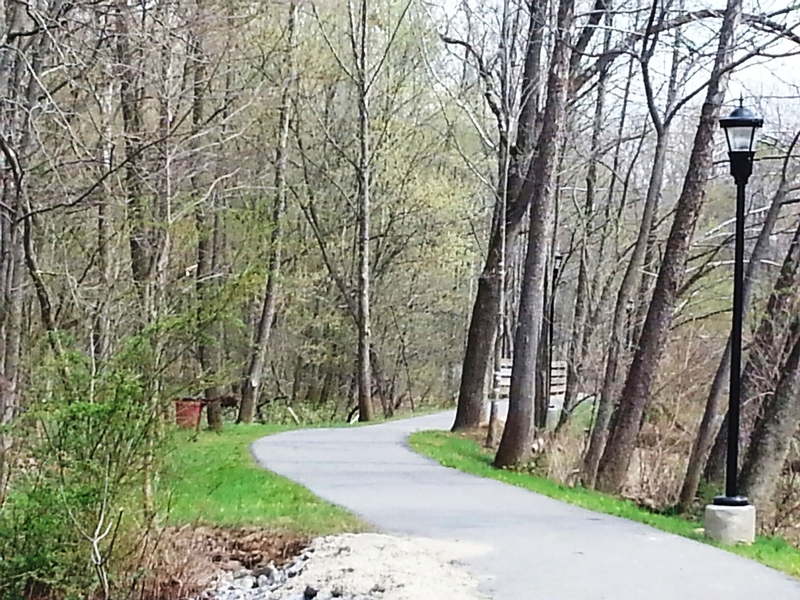 The Linear Trail is a 1.5 mile long trail that parallels the Nolichucky River along ponds and smaller creeks. The trail is paved and travels along a flat river bottom. The marshes, wetlands, and woods the trail travels through provides for a nice birding opportunity. A guided walk on the Farmhouse Gallery and Gardens property and enjoy the domestic peacocks and geese, as well as a chance to find a variety of migrating birds in the fields and around the ponds. One of Northeast Tennessee’s hidden treasures is also the home, studio/gallery of Wildlife Artist Johnny Lynch and his family. 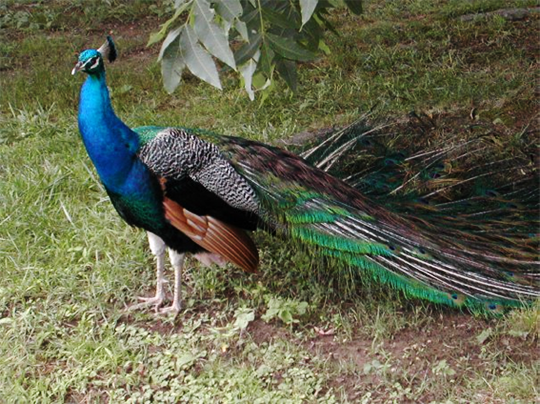 On their 75-acre pre-Civil War farm, the Lynch’s have created a showcase of this area’s natural beauty where birds, butterflies, wildlife and peacocks abound! Surrounded by beautiful flower and water gardens and enhanced with relics of our Appalachian heritage, experience the relaxing and inspiring aura that is ever-present in this unique setting. Bryan Stevens, who lives in Hampton, Tennessee, is an award-winning journalist and has served as an editor for newspapers in Jonesborough and Elizabethton. He is also an accomplished birder and has been birding since 1993, primarily in Northeast Tennessee, Southwest Virginia and coastal South Carolina. He writes columns on birds and birding for newspapers in Erwin and Bristol and maintains an online blog at ourfinefeatheredfriends.wordpress.com dedicated to the subject of birds and birding. Bryan is available on a pre-reserved basis for guiding local bird watches. Package Pricing based on specific activities and group size.